Yesterday I talked about going to the train station to buy some tickets. 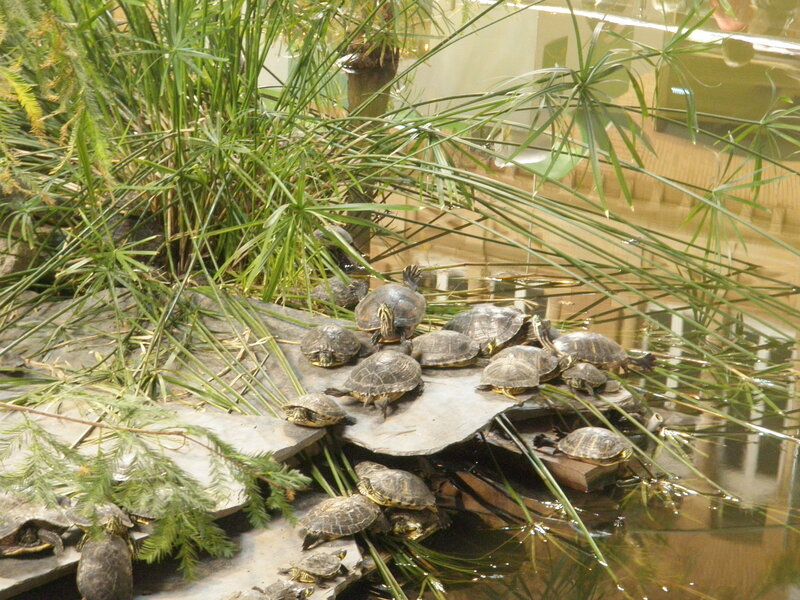 I failed to mention that there are turtles in the train station. There are turtles in the train station here, friends. 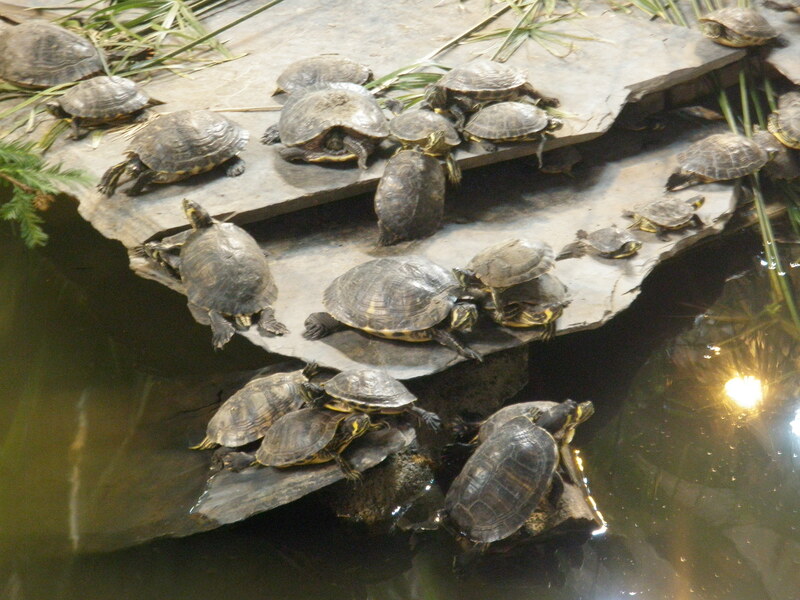 Turtles. Friends. 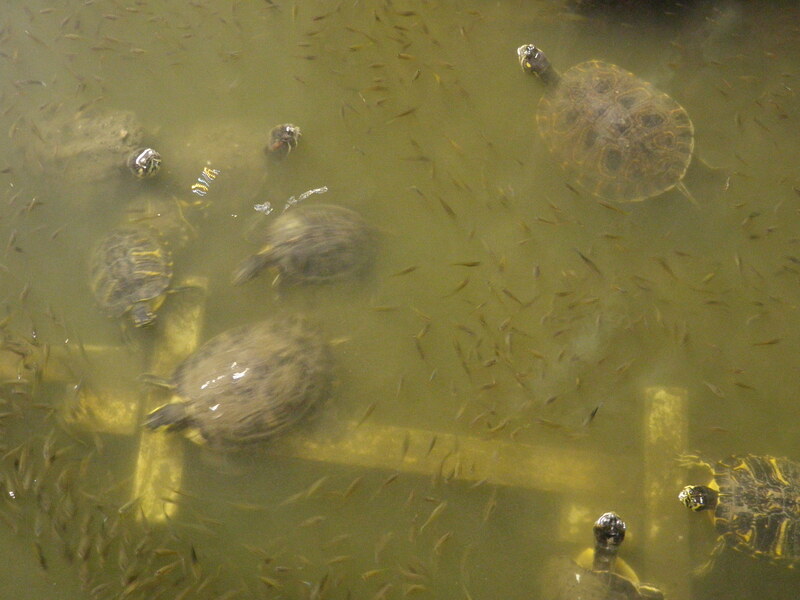 FRIENDS: there are turtles. In the train station. I spend 5-10 minutes watching them and freaking out every time I go there. They do this thing where they flutter their little turtle paws in each others faces as a sort of mating dance. Go to Google, search “turtle mating dance,” and you’ll see. Just don’t search “turtle mating,” because that’s a whole ‘nother ball game. Oh man, turtle mating is extremely disturbing. I had a turtle when I was a kid and we decided that we should have it hang out with my Mom’s friends’ turtle and the turtles ended up getting “stuck” together. Oh man! Oh man, indeed! I’m jealous that you had a turtle, though. Was it a red ear? The picture at the top reminds me of Yertle the Turtle by Dr. Seuss! In Spanish it is called “Yoruga la Tortuga” !! !